In 2012 the clinic invested heavily in the purchase of a system which we deem to be the best in the current market for the design and manufacture of custom made foot orthotics. 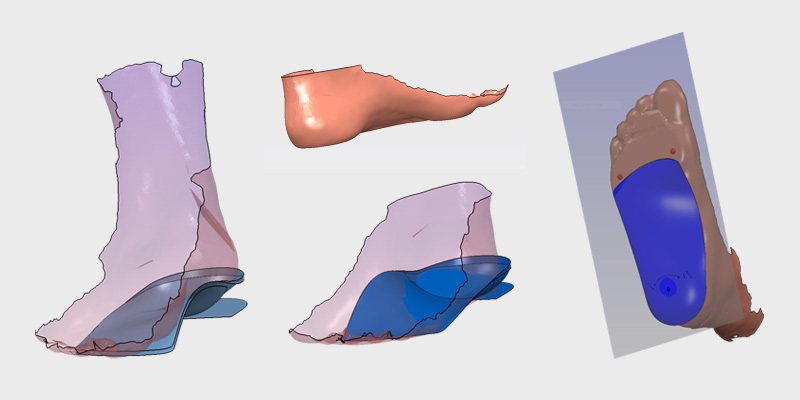 The computerised system comprises a 3/d laser scanner to capture the foot’s geometry accurately, a computer aided design software package which enables us the ability to design virtually any shape or style of foot orthotic even for the most complex of foot deformities and a cnc milling machine which cuts the orthotic from either a block of rubberised foam or hard plastic. This system gives us the ability to manufacture foot orthotics accurately, efficiently and aesthetically to provide our patients with an excellent device ever time. Classically when clinics use external lab facilities they can expect to wait approximately 2 wks to receive the finished product, we can turn around same day if required. Our lab facilities allow us to modify the devices if necessary for fine tuning and also refurbish old devices. Our head podiatrist has been involved in the field of foot orthotic manufacture for 8yrs now on a commercial scale and has fabricated over 5000 pairs of foot orthotics!